Introducing the Latest, Most Affordable Skin Filler, VERSA. 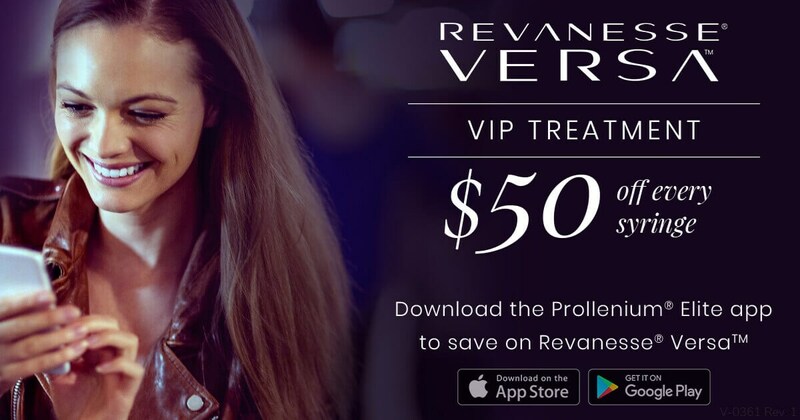 Please Note: You must download the Prollenium Elite App to receive discount. No Exceptions. Buy 2 CoolSculpting treatment areas, Get another area treated for FREE. Bonus: Receive a ZO Skin Health gift with any purchase! Please note: Special offers are valid now thru the day of event only. You can purchase these special offers and schedule your appointment for a later date. Complimentary parking is available at Lakeside Medical Office building and Tulane-Lakeside Hospital campus.